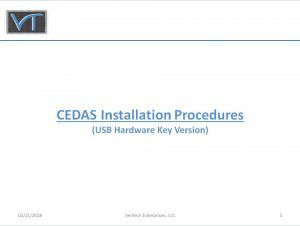 CEDAS and the hardware key security software (Sentinel Key Driver), are designed to run on Windows based operating systems only. It is compatible with Windows 7, 8 and 10, as well as many of the older Windows platforms. Important: Ensure that your hardware key is not installed in your computer or server until STEP 27, to prevent installation failures.